This dapper vintage-style short sleeve stretch cotton shirt .. Comfort and style meet in this vintage pique polo. Cotton basic striped shirt with a subtle logo on the left ch.. This polo has long sleeves and is made of cotton pique. This dapper vintage-style short sleeve stretch cotton polo s..
Napapijri ® Zip Sweatshirt, Regular fit. <br> 100% Cotton. Be ready for the road ahead in this short sleeve polo shirt ..
Napapijri ® Sweatshirt Zip-up Hoodie, Regular fit. <br> 100..
Add an extra dose of heritage charm to your evening look wit.. The origins of Napapijri began in 1987 in the shadow of Europe's highest peak, Monte Bianco, where an Italian manufacturer of travel bags introduced a new perspective on outerwear, combining innovative materials with great attention to style. Napapijri is a variant of the Finnish word for the North Pole and the logo, half positive and half negative, denotes the North and South Pole in graphic form. The Norwegian flag is closely linked to the DNA of the brand, which represents the northernmost country in Europe, the birthplace of some great explorers from the 20th century, as well as a country with extreme conditions and beautiful landscapes. 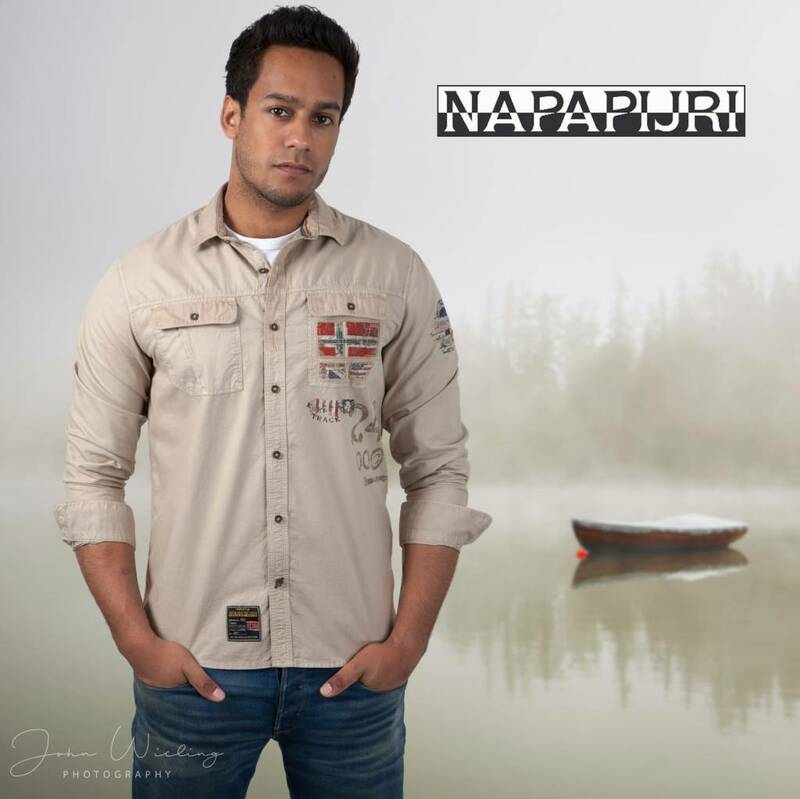 The Napapijri brand has grown to become the leading specialist in outdoor clothing with a wide range of T-Shirts, Polos, shirts, short books, Sweaters, Hoodies, Sweaters and of course the famous coats including the Napapijri rainforest Jack.